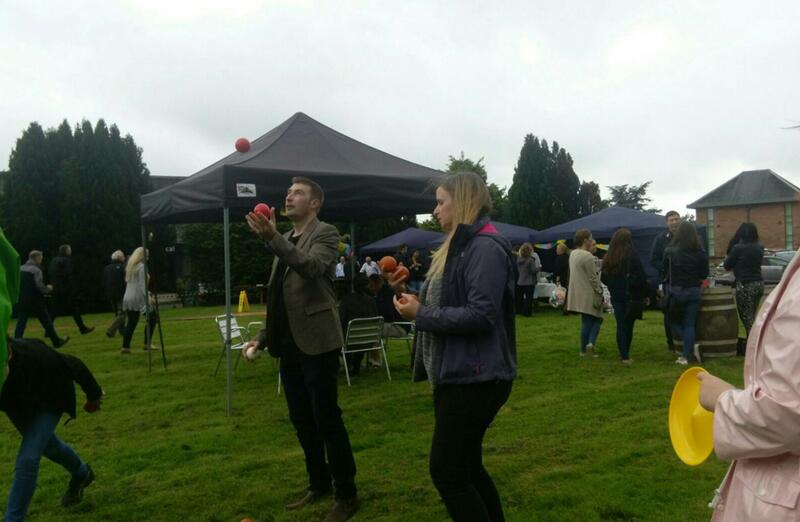 There was sun... and there was rain, but nothing stopped the delegates from Diageo from having a great day filled with fun, good food and plenty of laughter as Team Challenge Company provided them with their 2017 Corporate Fun Day. Starting off the day with some food, the guests relaxed and chatted under the gazebos while our walkabout Magician and Circus Skills Expert roamed the crowd and entertained. 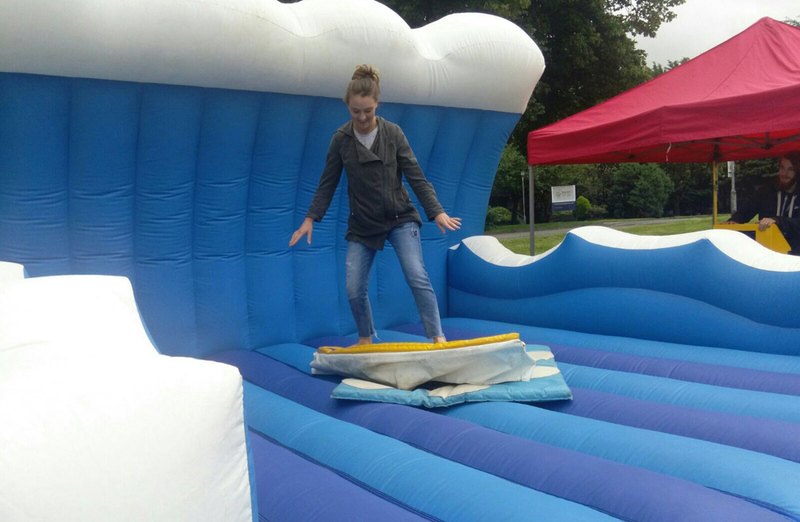 Kicking off the activities, two very eager ladies stepped up to test their balance on the Surf Simulator... and before we knew it a crowd had gathered! As guest after guest stepped up to have a go, the audience studied (and mocked!) 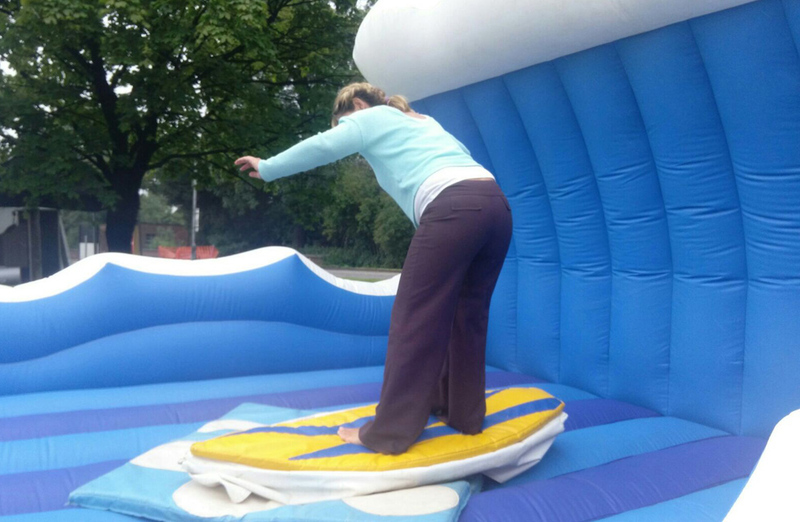 some of the techniques – we had low crouches, feet far apart, sideways, front ways, we even had a few show offs who managed to get a huge cheers when they fell off! Our best score of the day (who just happened to be the boss!) 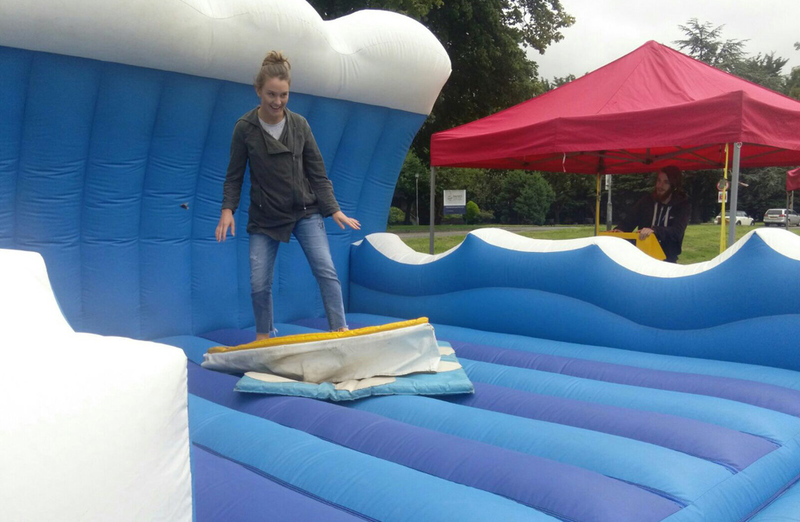 was 200 seconds beating our 2016 winner who had many many... many attempts to beat the top score of the day. 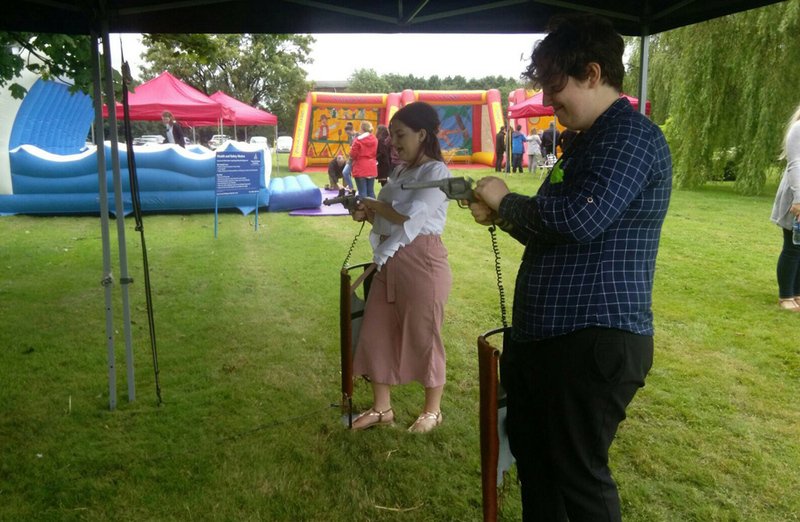 There were plenty of ‘ooh’s and ‘ah’s coming from the crowd over at Wild West Quick Draw as players battled it out to literally have the quickest draw. Hands were twitching as they waited for the saloon doors to swing open, the cowboy to draw his gun and their chance to draw theirs, we can definitely say that the group was a competitive bunch as they played again and again to have the fastest hands in the west – or Diageo’s Menstrie Site anyway! 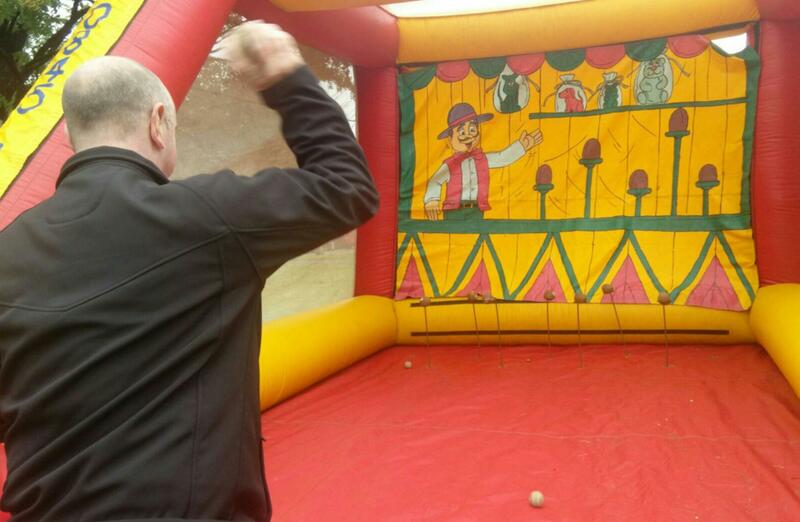 Our quickest draw of the day was 0.17 seconds - a great score from a gentleman who’d definitely done this before. 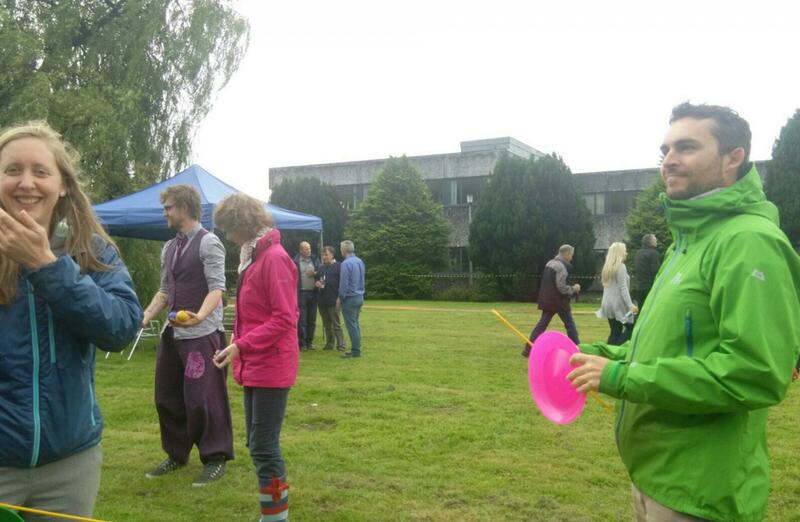 After having watched the Circus Skills Expert show off his juggling throughout the day, the guests had the opportunity to try their hand at juggling, plate spinning and a few other circus skills. Some guests were ready to run off with the circus with their skills and others were chasing rolling plates around the field. 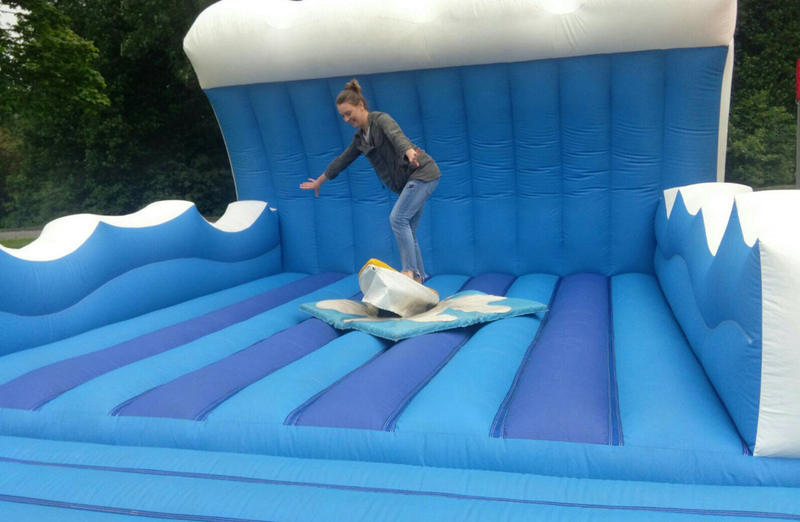 Our Magician wowed the crowds with not only his tricks but his walking handstands and acrobatics... we didn’t encourage the guests to try these skills however! Everywhere you turned there were masked guests, giant bouncy balloons and various other prizes, which could only mean that the guests were doing well over at the Coconut Shy, Hoopla and Beat The Goalie Sideshow Games. 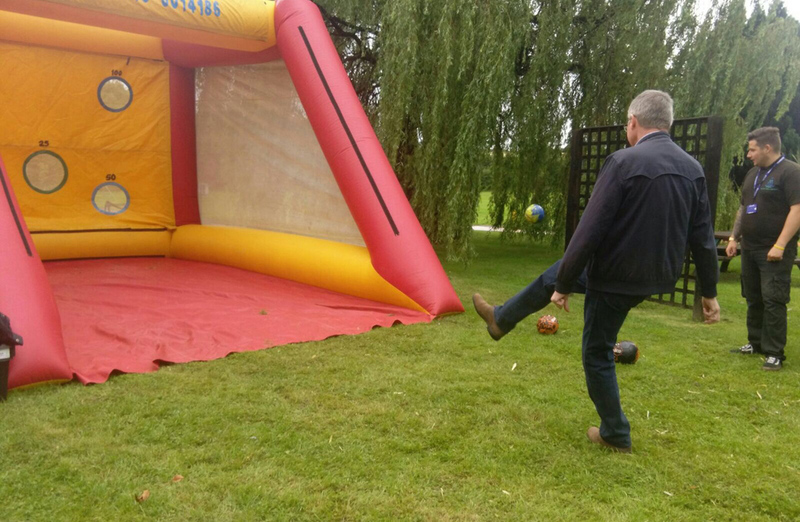 We had a few serious misjudged kicks at Beat The Goalie where the ball ended up across the field but many people managed to hit the 100, 75, 50 and 25 points mark, make it to 100 points and win themselves a prize! 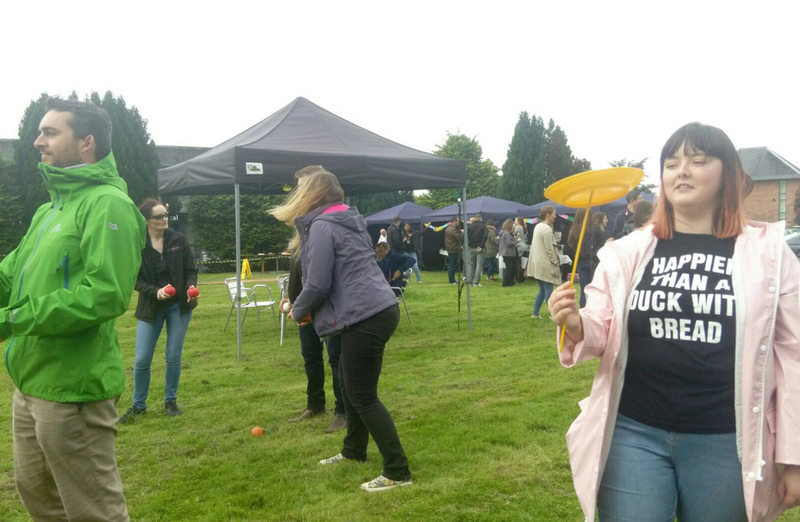 Our Coconut Shy and Hoopla activities proved a little more challenging for some, however, with practice and determination our guests were walking away with prizes and sweeties! As the day wound down, the guests treated themselves to an ice cream or sweetie from the Ice Cream Van and had their last shots on the activities (and last attempts to beat any high scores!) before their buses arrived to take them to town. 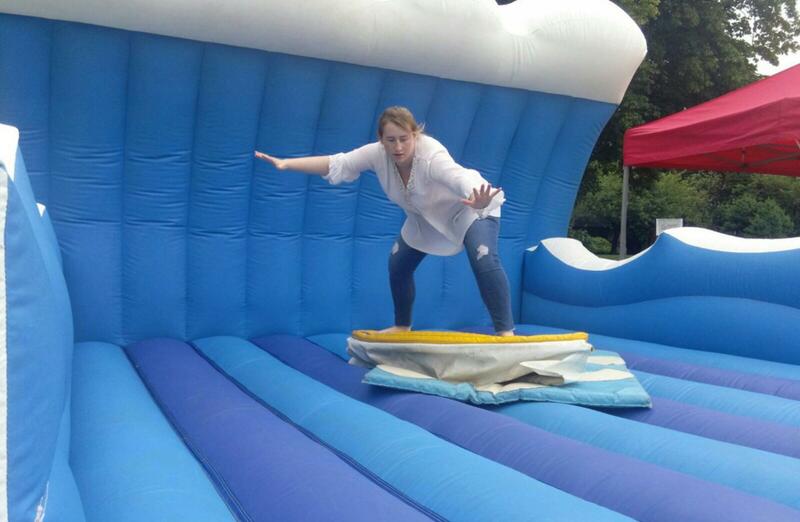 The day overall was a huge success and our team loved working with you all. A huge thank you and well done to Joyce for organising the day, hopefully you all enjoyed it as much as we did! We look forward to seeing you all again in the near future! 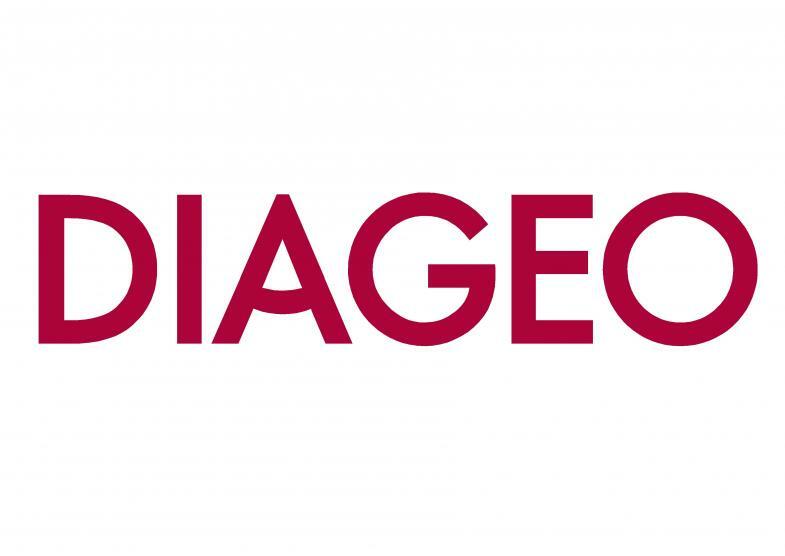 Great to work with you all again at Diageo for your Corporate Fun Day, we hope you all had a great time!